Getting started with your Rien Pipe kit (or Keep Pipe kit) is incredibly simple. Planning your quit day is also straightforward. Each individually wrapped package has a number on it. Please be sure to start with the package marked "No. 1." 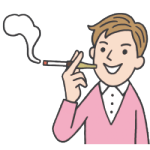 Insert your cigarette into the Rien Pipe, then light up as usual. You can then smoke as you usually do. Be sure to use the pipes in sequential order. Never skip pipe numbers. This is very important. Whenever you smoke, always use a Rien Pipe. 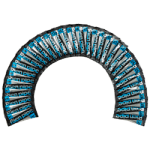 This will ensure that your body is reducing the amount of nicotine inhaled at just the right pace. Don't throw away the pipes. 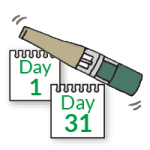 If you're smoking cigarettes containing over 0.1mg nicotine, be sure to save your pipes each day for re-use at the end of 31 days. See the Making your Quit Schedule page for more details.